That's right guys, Superdrug have done it again! Fueling my skincare product addiction while staying budget friendly has to be one of my favourite pastimes and the newest skincare range from Superdrug has left my skin and purse-strings very happy. The latest range of FIVE products are all priced at £4.99 each and are a perfect for adding a little zing into your morning routine. The whole range is formulated with Goji Berry and Kakadu Plum which are said to be amazing for the skin. Kakadu Plum (I'll admit, I'd never heard of this) has the highest known concentration of Vitamin C of any food on the planet and the Goji Berry is already well known as a super fruit, known to induce calm, well being and energy. I've been trying out three products from the range for over two weeks and for the price point alone, Superdrug always win on own brand skincare in my eyes. The scent!!! Jeez I can't get enough of how damn fresh these products smell. The packaging is pretty for an "own brand" product but I have a complaint on this product sadly. The formula of the product is great but jeez, it's tough to get the product out of the tube. The product is a gel cleanser but the opening on the tube is just TOO SMALL for the product consistency. It makes squeezing the product out quite tough which is really annoying. However, once you get the product out and onto your face, it's a delight to use. The thick gel formula deeply cleanses the skin to remove excess oil without drying out the skin, while the orange peel extracts exfoliate away dead skill cells to leave skin smooth and fresh. 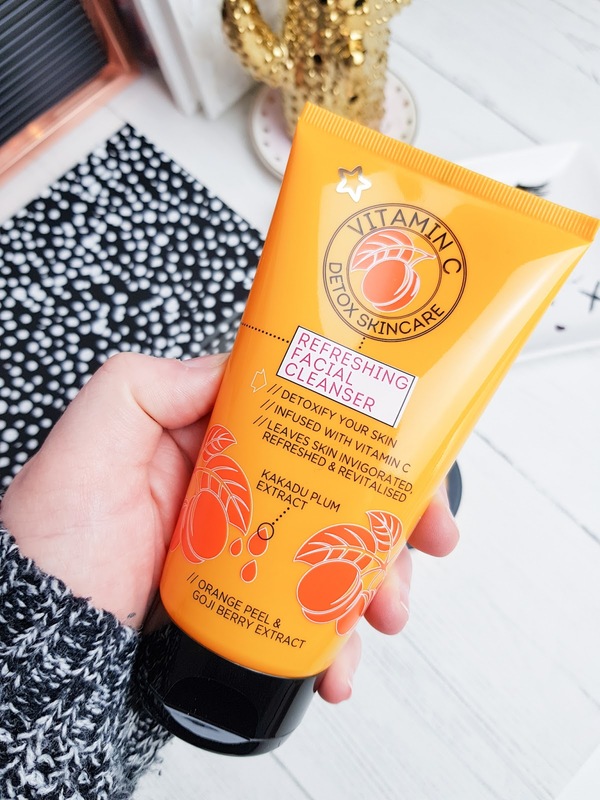 The exfoliating particles are quite large in this cleanser so this is a product to use once or twice a week but overall, I'm a fan and I will certainly repurchase (even with the annoying tube issue). 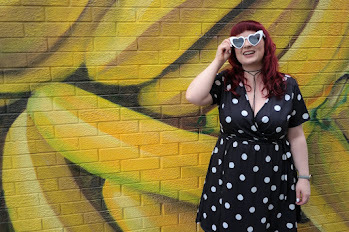 I'm a huge face mask fan and shared my love for the foodie face masks from Superdrug last month and the fact I was excited to try their Blueberry Jam Facemask. 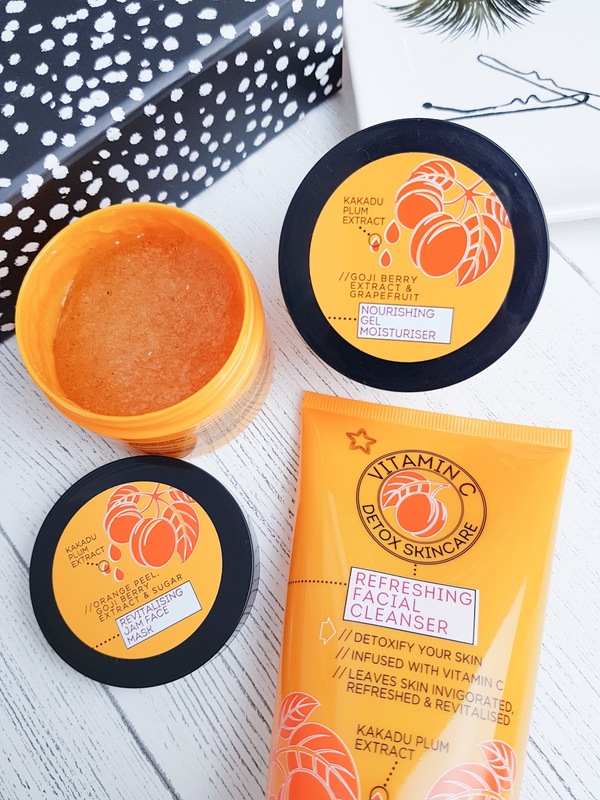 Well, this Vitamin C Orange Peel Jam Face mask is what I imagine the jam foodie face mask to be like but with extra added vitamin goodness. This is a product to apply with a brush for sure as it's pretty sticky but fun to work with. The mask contains white sugar and orange peel to exfoliate, purify and brighten the skin and can produce a warming sensation on application which is pretty nifty. Intended to be left on the skin for between 5/10 mins then massaged off - this is a mask that is ideal for a quick pamper session. I've used this product a few times before big nights out and it leaves the skin soft and revitalized. 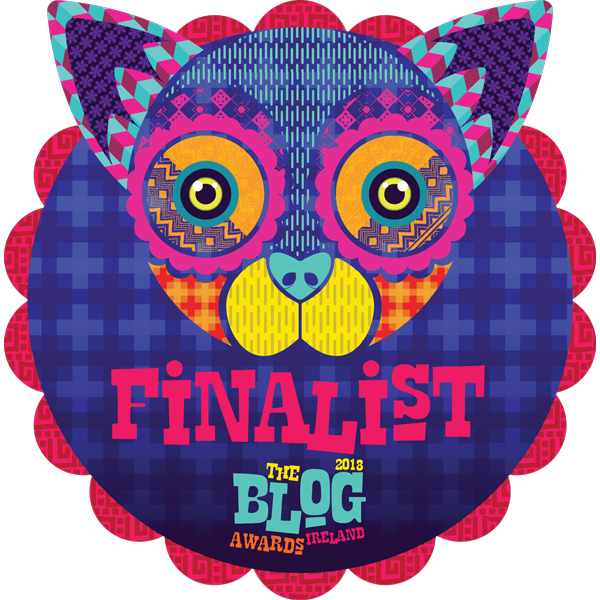 I've spoken many times on the blog in the past about my issues with moisturising. I'm not a fan of really thick creams, I'm impatient and don't like waiting for products to absorb etc but this is a fast acting gel consistency that I get on with very well. The formula is super light and refreshing when applied and I feel like my skin just drinks this product up and feels plump and ready for make up application after a few minutes. We're best buds now and I'm buying more very soon as for just £4.99 we're going to get on very well. Have you found any recent budget beauty or skincare products? I think the Invigorating Skin Booster 30ml is next on my shopping list for sure. Are you a fan of Vitamin C in your skincare routine? 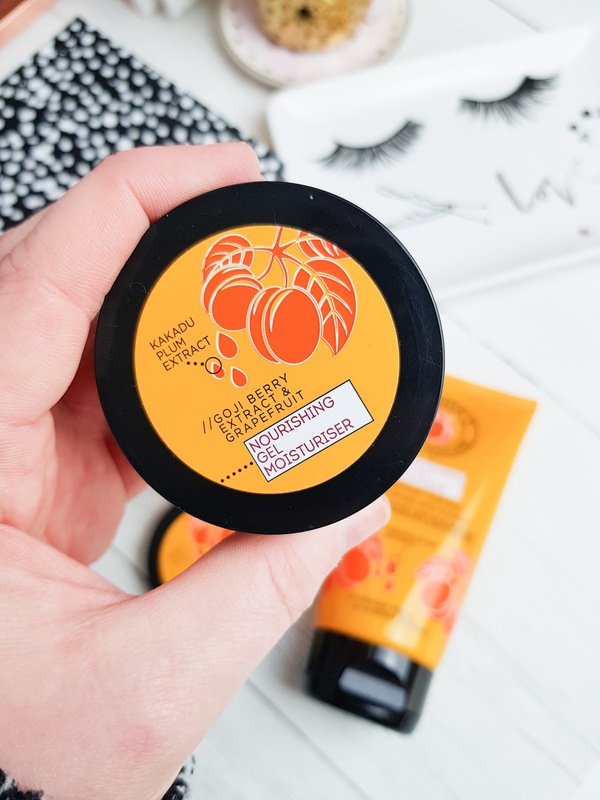 The orange peel jam face mask has definitely been added to my basket! This looks like such a great range! I initially thought Body Shop from the packaging but the price point is so much better. I bet they smell incredible. 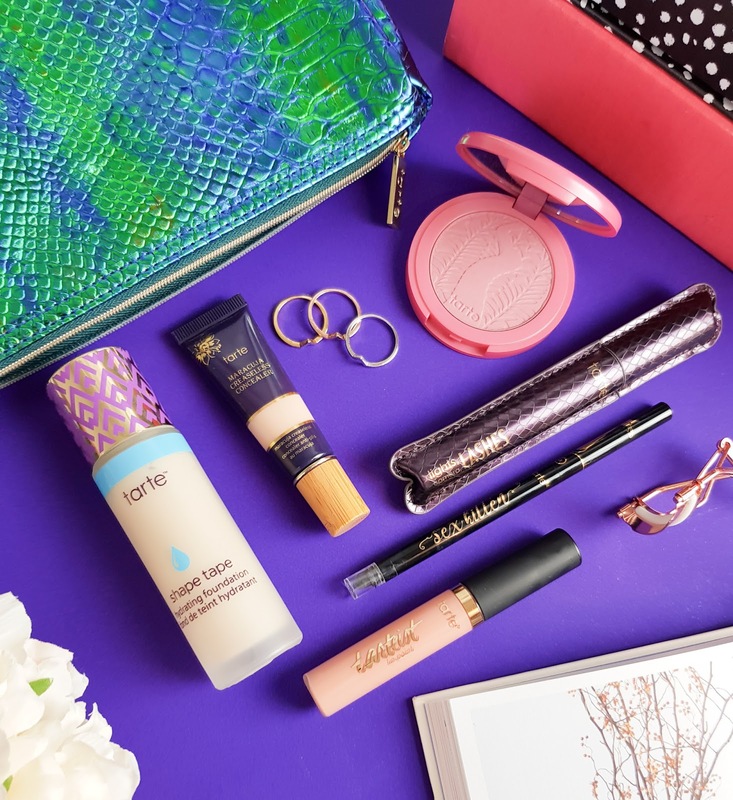 Superdrug have been absolutely killing it recently - these all look amazing! The next time I'm in Superdrug I'm going to have a list as long as my arm to pick-up. I love the sound of the vitamin C in this and I love a good citrus/fruity smell. Are these products ok for sensitive skin?